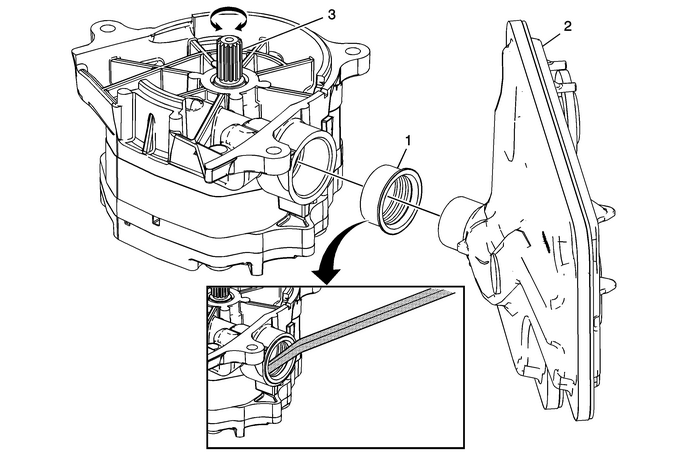 The fluid pump assembly is not serviceable. Note:Install a NEW filter neck seal. Note:Install a NEW fluid filter assembly. Inspect the fluid pump drive shaft splines for damage or wear.Rotate the fluid pump drive shaft for free operation.